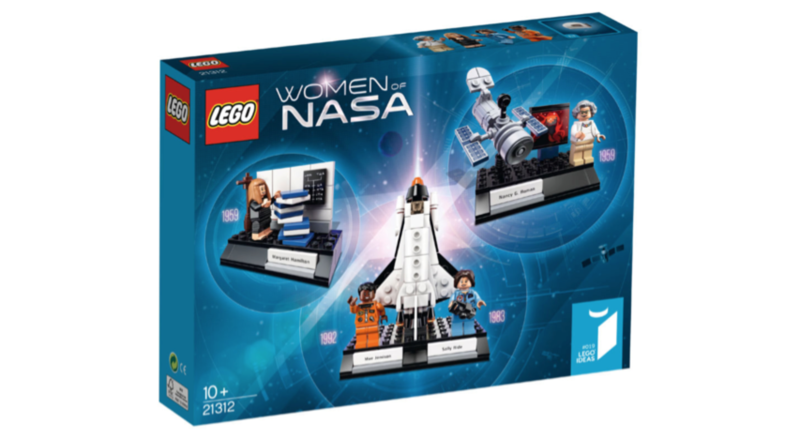 A new playset from LEGO will honor four key women in NASA history—astronomer Nancy Grace Roman, computer scientist Margaret Hamilton, and pioneering astronauts Sally Ride and Mae Jemison. The 231-piece set will be released on November 1, with a recommended selling price of $24.99. First proposed in July, 2016 by the deputy editor of MIT News, science writer Maia Weinstock, on the LEGO Ideas website, the project reached 10,000 supporters in just 15 days. “The set clearly touched and inspired many,” Weinstock said. In addition to the historical minifigures, the set includes three builds that put the work of each woman into historical context. For Nancy Grace Roman, the set features a 7cm-high, 9cm-wide build of the Hubble Space Telescope. Roman came to NASA in 1959 and served as the space agency’s first “chief of astronomy.” She played a key role in the early design studies of the space telescope and is known as the “Mother of Hubble” for building support in the community for such a project. Margaret Hamilton led a software engineering group at MIT that wrote the software used aboard the Lunar Module during landing on the Moon. Her build features a stack of book elements, representing the books of listings of Apollo Guidance Computer onboard flight software source code. (This also reflects an image of Hamilton shared widely on social media). Ride and Jemison were two of NASA’s pioneering female astronauts. Ride was the first American woman to fly in space, in 1983. Jemison was the first black woman to fly in space, in 1992. Their build features a 12cm-tall space shuttle complete with a launch pad and three separable stages. We can’t wait to build all of it.